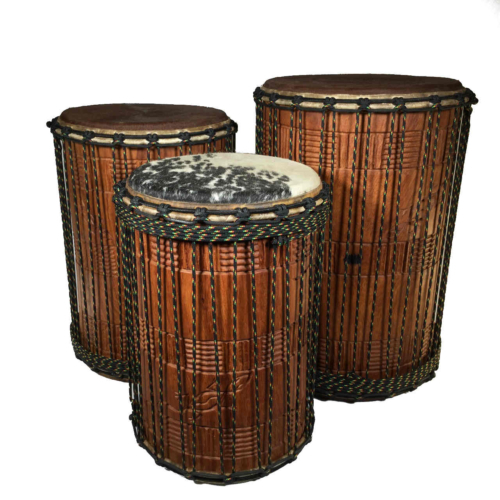 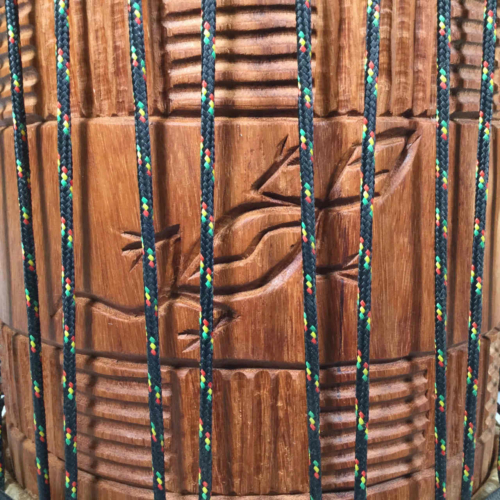 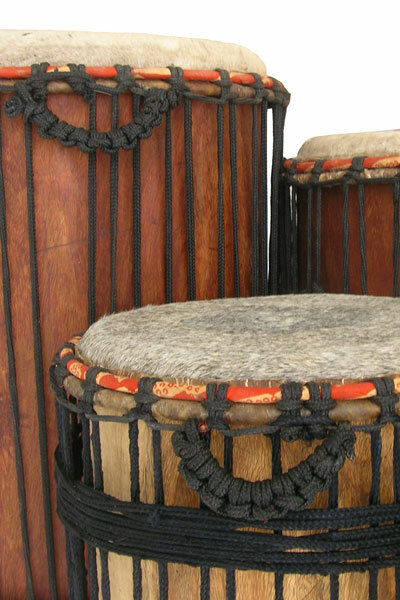 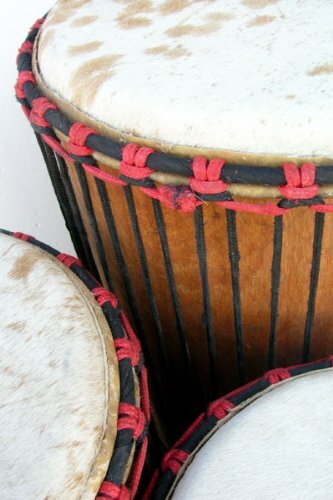 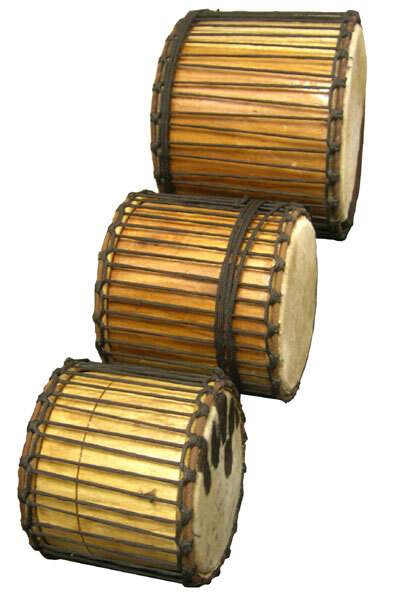 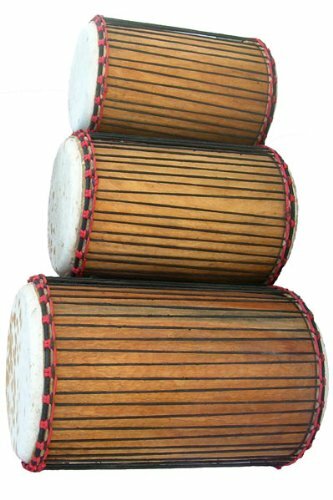 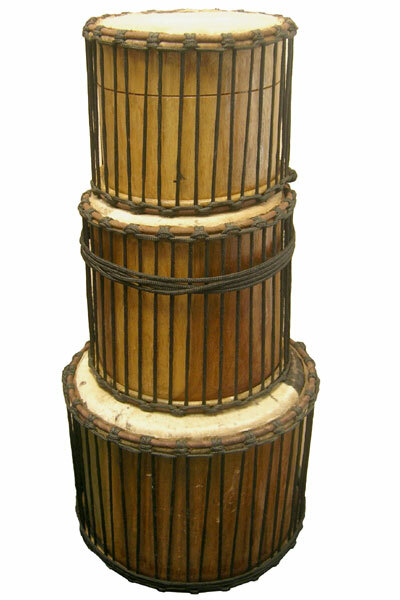 This set of dunun (DOO-noon, aka dun dun, djun djun), imported direct from Ivory Coast, West Africa, is matched well in terms of size and sound, and represents a step up in construction and sound quality from the Ghana Classic Dunun Set. 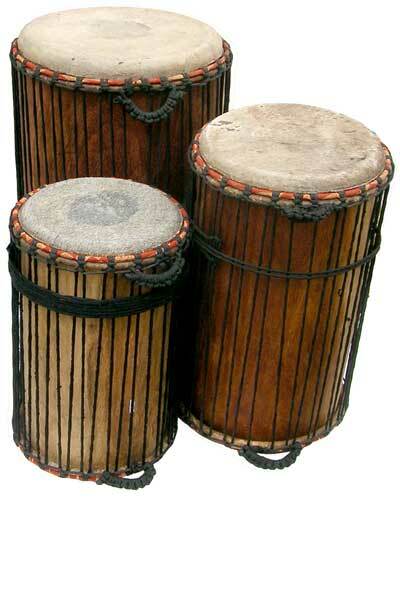 Dunun Bells and sticks and cases sold separate. 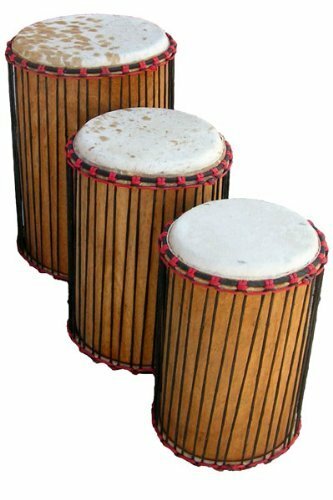 These sets of dunun cannot be split up or sold separately.